I was eating a slice of Starbuck’s lemon poppy seed loaf the other day, savouring every bite, when I looked up the nutritional content online. I was horrified and promptly threw away the 1/3 I had left from the loaf. As delicious as it was, I didn’t think it was worth the 470 calories and 22 grams of fat it contained. I mean no disrespect to Starbucks (I’m there most days ordering my Americanos and lattes) and it’s totally ok to have a sinful, calorie-laden treat every now and then, but I thought to myself, I can bake something that will probably be just as tasty and much healthier. Cue my eager perusal of Dorie’s Baking. I was introduced to the wondrous world of Dorie Greenspan not through baking blogs or mainstream media but through the BFF, an incredible cook, baker and all-around woman. Every time I visit her, she has a vast cornucopia of delectable foods prepared – muffins, cakes, tarts, you name it, she’s made it. And her dinners are beyond gourmet – her food surpasses anything I could ever make in the kitchen! One day when I was over, the BFF had whipped up Dorie’s French yogurt cake – a soft, tender, moist loaf of lemony goodness, with a dreamy lemon drizzle on top. The Husband and I couldn’t stop eating it. I took down the recipe to bring home with me and wisely decided to purchase the book for myself. The rest is baking history! 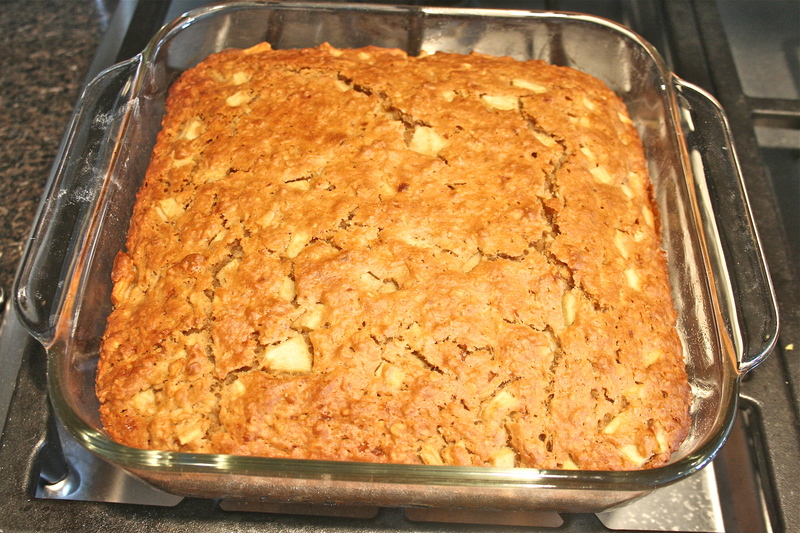 I decided to make Dorie’s apple nut muffin cake. 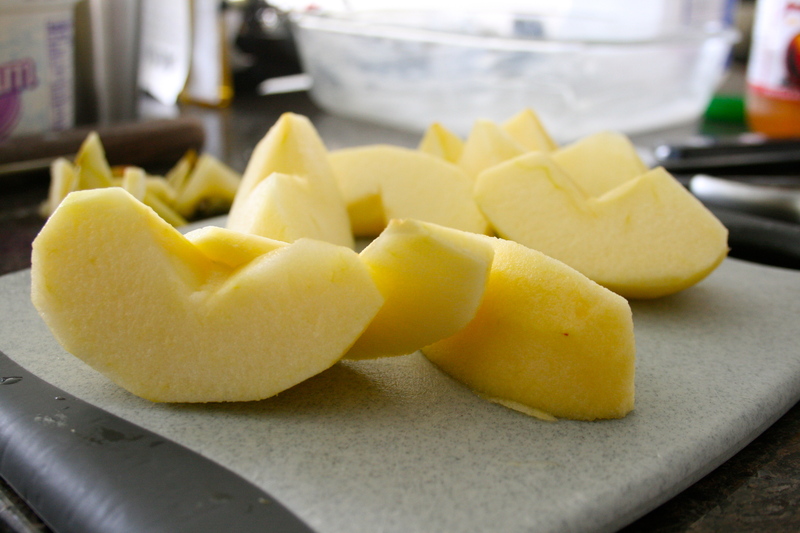 Besides lemon, the Husband loves apple desserts. To this day, he raves about the applesauce muffins he used to eat in elementary school and laments the fact that he has yet to eat anything that compares to the muffins of his youth. 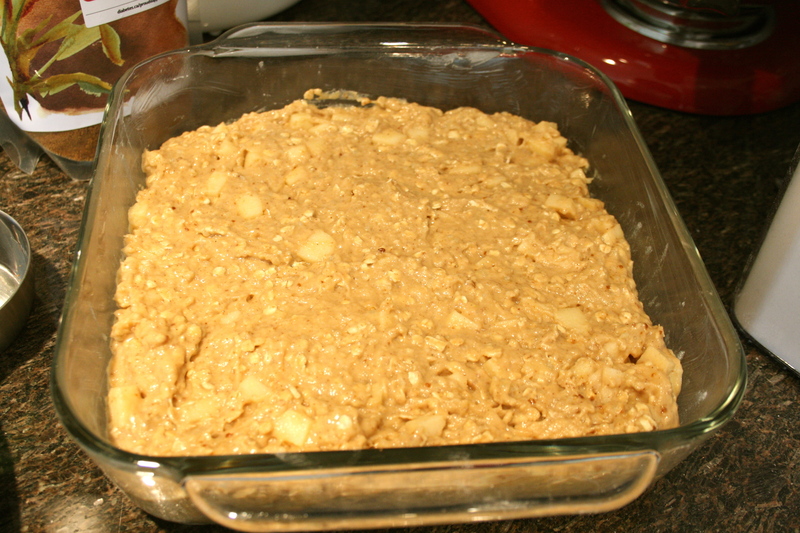 In the past few years, I’ve made several attempts at apple muffins and cakes, pulling recipes off the internet. They’ve all been dismal failures – never enough of that sweet, fresh apple flavour, always soggy, dense and wet from chunks of apple releasing their liquid. Dorie won’t fail me. She hasn’t yet! (I realize I’m talking about her as if she’s a personal friend. She is … in my mind). This cake was super easy to throw together. 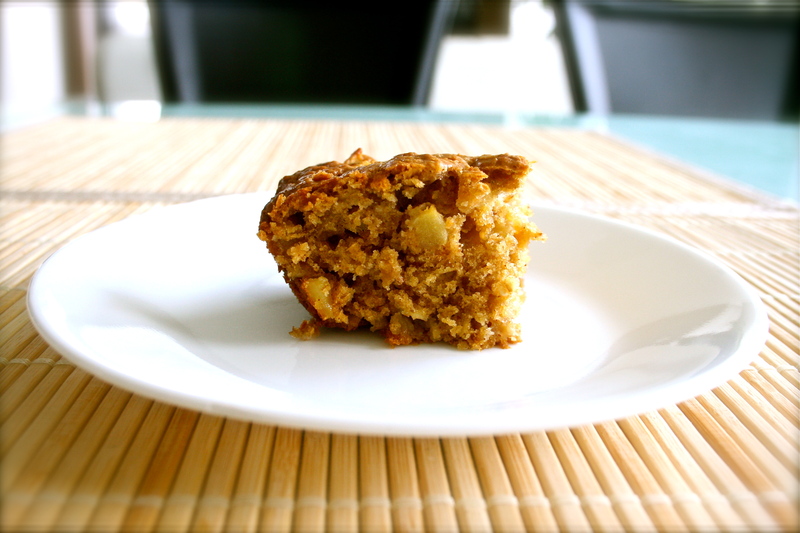 This cake is filled with the taste of apples, cinnamon and brown sugar. 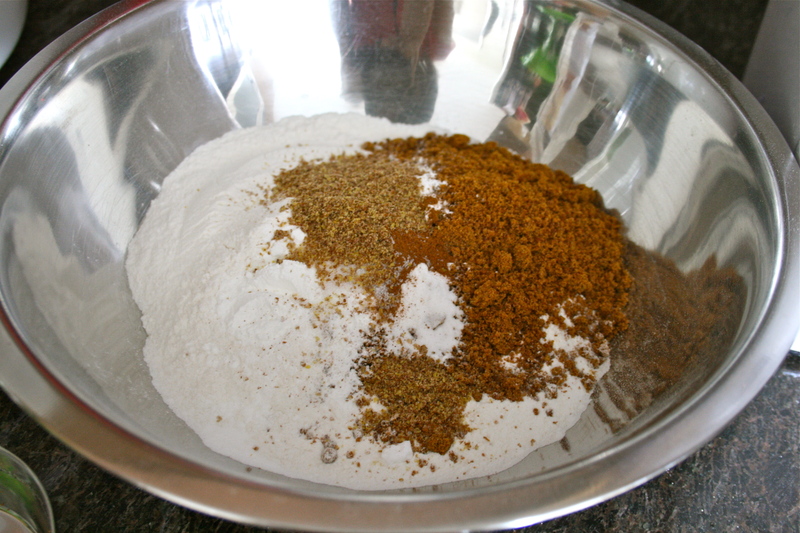 I substituted organic coconut sugar for the white sugar and added ground flax seed – their health benefits make up for the melted butter in the recipe, right? I hate waiting for things to cool before eating. I’m one of those immediate gratification people. 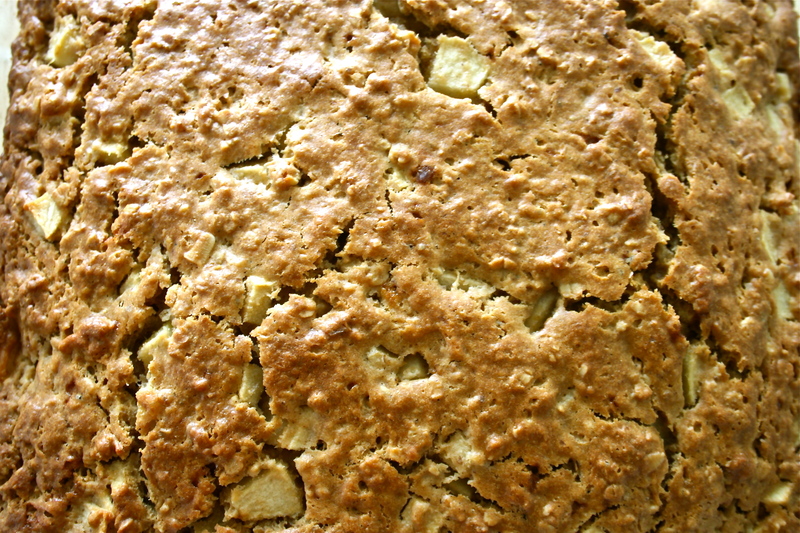 Check out that glorious, craggy, crusty top studded with apples. Verdict – delicious! The cake was light, moist, and the apple-cinnamon-brown-sugar combo came right through. 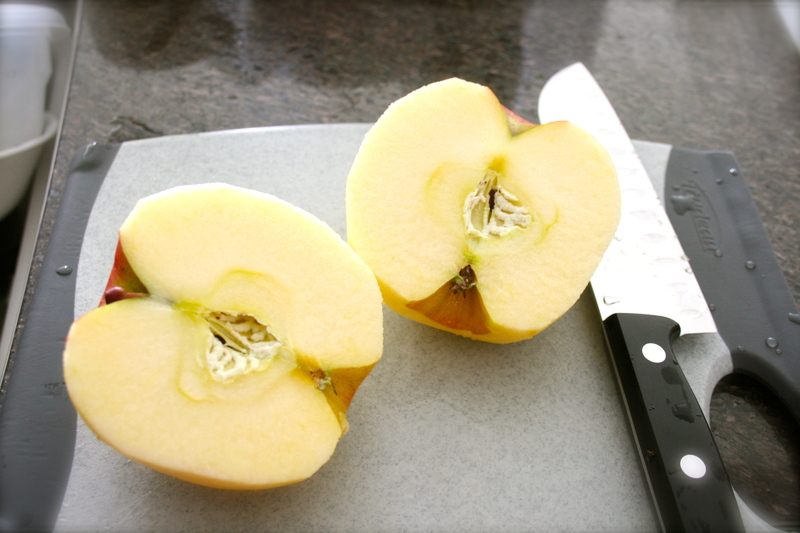 The little chunks of apple were cooked perfectly and made for nice bursts of flavour and texture. The Husband loved it – although I don’t think they measure up to the applesauce muffins of legend and yore. 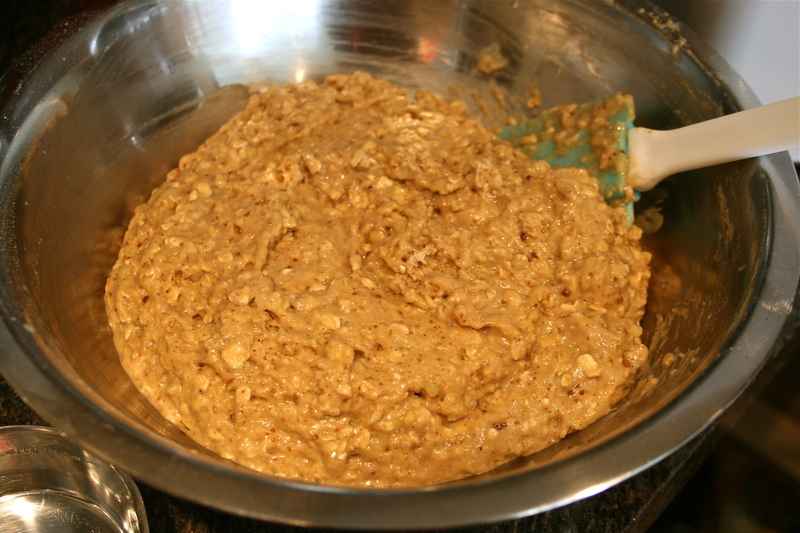 That’s ok – I’ll just keep baking till I get it right! yum looks amazing! i loooove dorie’s baking book.